Fly virtual reality like never before in FlyInside Flight Simulator. FlyInside Flight Simulator includes cutting-edge VR support (but works great on the desktop too), a 64-bit engine designed for modern GPUs and multi-core systems, ten high-quality stock aircraft, and an innovative scenery system! 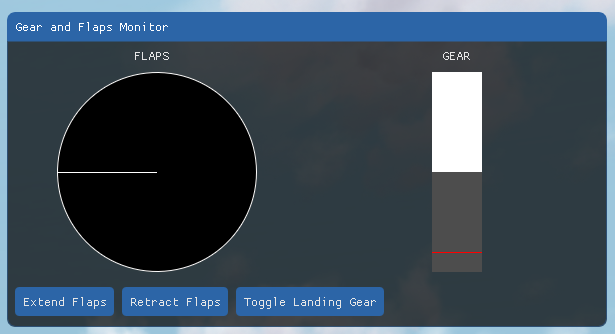 FlyInside Flight Simulator is in Early Access, so we're constantly working on new features, improvements, and fixes. You can expect a steady stream of updates, both major and minor. FlyInside Flight Simulator includes stunning aircraft, including military, general aviation, transport, and helicopters. Experience detailed systems, a realistic flight model, and beautiful artwork! FlyInside Flight Simulator is built with VR in mind! Oculus Touch, Vive wand, and Leap Motion are all supported. All dialogs and settings are accessible from within VR. FlyInside's ground-breaking scenery system combines photoscenery, computer generated imagery, and a wide variety of data sources to produce a world that's both beautiful and fun to explore. FlyInside Flight Simulator is built for today's systems. It can utilize multi-core processors and modern GPUs to great effect. Enjoy fluid frame-rates, high auto-gen density, and large draw distances. So far we've launched two major updates. Since our initial launch, we've completely revamped our scenery engine, and added an amazing new controller interaction system. Check the News section for more info. FlyInside Flight Simulator ships with ten beautiful high-quality aircraft out of the box, from MilViz and TFDI! We'll be adding more too. You'll enjoy complex systems, a challenging flight model, detailed interiors, and a variety of liveries. While FlyInside Flight Simulator runs great on a standard monitor, it was built with virtual reality in mind. FlyInside's innovative virtual windowing system allows you to use every simulator dialog and menu within VR intuitively. FlyInside supports multiple forms of input. You can easily use your mouse from within VR, thanks to our virtual 3d mouse cursor. If you don't want to take your hand off of your joystick, you're welcome to use FlyInside's interaction dot. For added immersion, we support Leap Motion, Oculus Touch, and Vive controllers. You can use your virtual hands to start, fly, land, and manipulate aircraft. FlyInside Flight Simulator has a unique and innovative scenery system. It's designed to run at 90fps at VR resolutions, while displaying dense clouds, huge amounts of auto-gen, and detailed landscapes. Our scenery system combines a variety of data sources including ortho-imagery, building footprints, meta-data, and more, to produce a virtual landscape worth flying in. The innovative night-lighting system makes night-time city-scapes a joy to fly, without dragging down FPS. FlyInside Flight Simulator is built on a brand-new engine. This isn't a set of upgrades, patches, and duct-tape on software that's been in development since the 80s or 90s. This is modern technology built for modern computers. We split work across multiple cores, so that you aren't stuck at 30fps while 3 of your cores remain idle. We keep your GPU busy pumping out graphics and maintaining high frame-rates! At the same time, our engine is designed to make the best use of your GPU possible. FlyInside Flight Simulator chews through traditionally heavy features such as dense weather and detailed night-lighting with ease, where other simulators can't keep up. We test FlyInside Flight Simulator on modern headsets like the Vive Pro, where the goal is always 90fps at supersampled resolution. The benefit will only grow as more demanding VR headsets come to market. Our goal is to make FlyInside Flight Simulator an open platform. Your add-ons don't require our approval, and you're free to sell them via your own website, royalty free. Using our scripting SDK you can create add-ons in minutes, add-ons capable of manipulating simulator variables, displaying user interfaces, drawing 3d graphics, and much much more. We're in the process of finalizing our aircraft SDK, along with creating user friendly tools around our scenery system. If you're interested in creating aircraft, porting an existing aircraft from another simulator, or in creating scenery, please contact support@flyinside-fsx.com. We'd like your input as we finalize these tools, and can provide you with additional information.